The Professional Regulation Commission (PRC) and the Board of Marine Deck Officers released results of January 2014 Marine Deck Officer board exam (written phase) in 3 working days after the exam. List of passers, top 10 (topnotchers), top performing schools and performance of schools for Officer-In-Charge (OIC) of a Navigational Watch Licensure Examination, Master Mariner Licensure Examination and Chief Mate Licensure Examination are available here as officially released online. The Professional Regulation Commission (PRC) announces that 60 out of 111 passed the Master Mariner Licensure Examination, 266 out of 510 passed the Chief Mate Licensure Examination and 726 out of 1,384 passed the Officer-In-Charge of a Navigational Watch Licensure Examination given by the Board for Marine Deck Officers in Manila and Iloilo last January 2014. 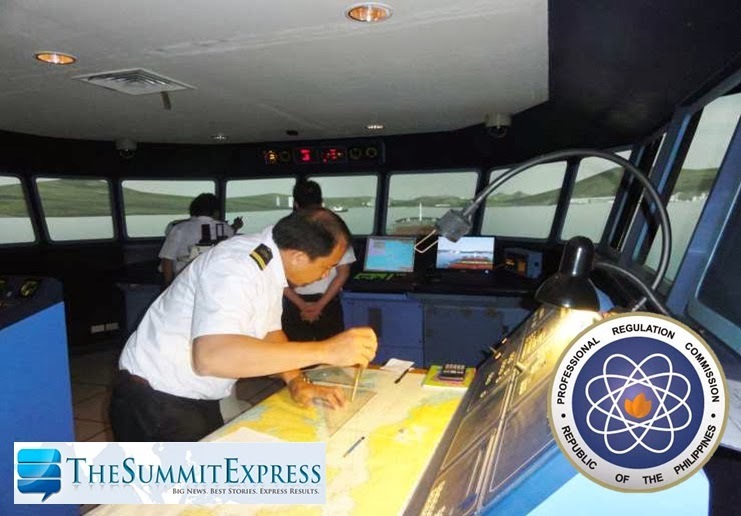 A total of 67 examinees are exempted from taking the practical examinations as they opted to submit a Certificate of Training and Certificate of Assessment in the Ship Simulator and Bridge Teamwork (SSBT). The examination was conducted in Manila and Iloilo on Wednesday and Thursday, January 29-30, 2014. 1. Registration for the issuance of Certificate of Registration and Professional Identification Cards will start on February 10, 2014. The date and venue for the oathtaking ceremony of the new successful examinees in the said examination WILL BE ANNOUNCED LATER. 2. The deadline for submission of Certificates of Ship Simulator and Bridge Teamwork with Practical Assessment will be on February 11, 2014. The members of the Board for Marine Deck Officers who gave the board examinations are Capt. Jaime D. Aquino, Chairman; Capt. Ireneo U. Delos Santos, Capt. Romeo C. Abuyuan and Capt. Marsolito A. Cruz, Members. January 2014 Marine Deck Officer board exam covers the following subjects: navigation, cargo handling and stowage on the first day and controlling the operation of the ship and care for persons on board on the second day. In January 2013, PRC announced results of marine deck officer board exam (written phase) in 3 working days after the exam. PRC announced that 23 out of 47 passed the Master Mariner Licensure Examination, 156 out of 409 passed the Chief Mate Licensure Examination and 687 out of 1,247 passed the Officer-In-Charge of a Navigational Watch Licensure Examination. We advise you to subscribe to our E-Mail list, Follow Us on Twitter or Like Us on Facebook for more updates.